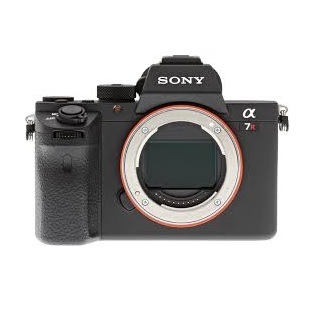 The all new Sony A7 III is a dynamic and versatile new addition to Sony’s line up of mirrorless full frame cameras. With a re designed 24.2 megapixel back illuminated and stabilised full frame image sensor that offers 15 stops of dynamic range, the camera now shoots 4K 30p video, Full HD at up to 120p for dreamy slow motion and is undeniably packed with great that deliver professional performance. Offering a high speed capture of 10 frames a second with Full AF/AE, the A7 III takes still images at full speed with either a mechanical or silent shutter. Combined with the 693 phase detection AF points, this make it easier than ever to capture fast moving subjects. The larger Z style battery, control joystick, touchscreen and dual SD card slots are guaranteed to satisfy even the most demanding of photographers. 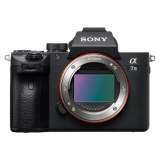 The Sony Alpha A7 Mark III Digital Camera was added to the Digital Cameras category in March 2018. 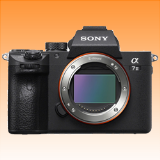 The lowest price GetPrice has found for the Sony Alpha A7 Mark III Digital Camera in Australia is $2,564.00 from Becextech. 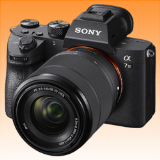 Other merchants who stock it are Becextech, Amazon AU, Ryda Dot Com, Video Pro, Sony Store Online, Camera House, Etoren, Dirt Cheap Cameras, CameraPro.